Lawrence County Chiropractic, LLC is dedicated to all individuals interested in pursuing a healthy and active lifestyle. 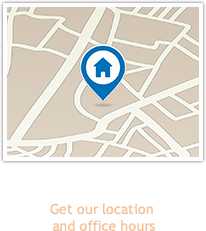 We have been serving the New Castle community since 1997, and we chose our office location for its convenience and easy access for our patients. Our philosophy is to help patients understand their pain and give them the care needed to relieve pain. We want to give our patients attention they need. So, we create a treatment plan that’s designed for them to quickly meet their health goals and be on their way to a more healthy lifestyle. 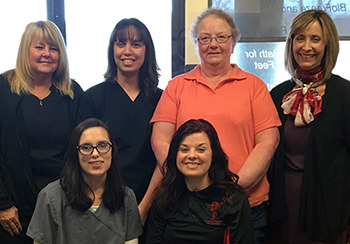 When it comes to the health of our community, our vision is to treat our patients for the short-term, so that they are able to do so on their own for the long-term. We do our best to educate them so that they’re equipped with the knowledge to maintain a healthy lifestyle and keep their pain from returning. To help our patients on their path to wellness, we offer a wide variety of services in our state-of-the-art facility. We often see patients seeking help with many different conditions and have techniques to suit everyone’s needs. And, to better serve our patients, we accept most insurance plans and worker’s compensation cases. 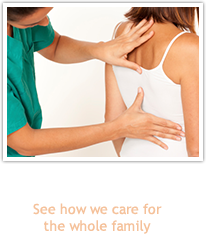 Our gentle adjustments are for those who might be concerned with how chiropractic will feel. We even offer instrument-based adjustments, such as the Activator Technique, to give you the most comfortable experience possible. In addition to our healing chiropractic care, we offer supporting services like Kinesio taping and massage therapy. Take the first step towards a healthy lifestyle by contacting us today and making an appointment to discuss your health goals.